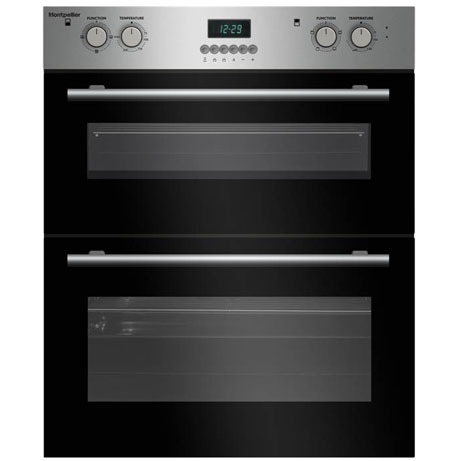 This Montpellier Built-Under Double Oven features 1 larger fan assisted oven and a smaller conventional top oven with full and half grill settings. 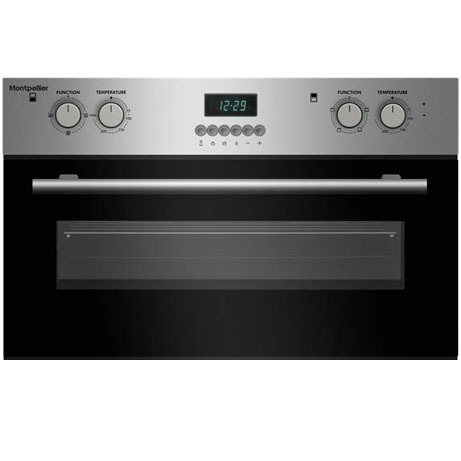 With its modern look and it many programmable features this oven would fit nicely into any kitchen. 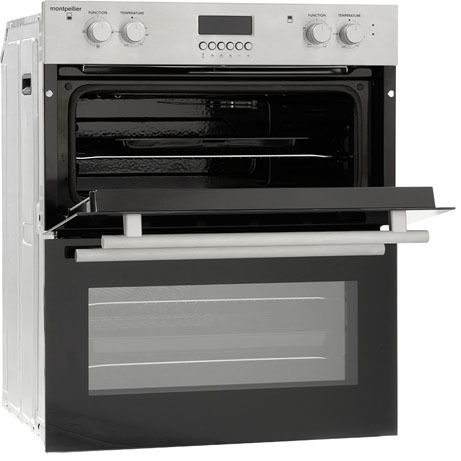 This Montpellier double oven features 2 x Ovens, 1 Oven is a Simple Fan oven with a Fan Convection and a Defrost Function and the other Oven features a Grill with Full or Half Grill function, just bottom heat function and conventional top and bottom heat function where elements at the top and bottom of the oven heat up for traditional roasting and baking where the hottest part of the Oven is the top.